Whether you’re sealing a shaft or piston in a bore, most dynamic seals have one thing in common: they’re round. This means production machining of PTFE and other high-durometer polymer seals are primarily done on CNC lathes and turning centers. Eclipse’s in-house CNC lathes produce hundreds of unique part numbers per month, in both fully custom and standard seal designs. Occasionally, Eclipse is approached by customers with applications requiring seal features that simply can’t be machined on a lathe. The solution for these instances? Eclipse’s CNC Milling equipment combined with decades of polymer machining expertise can provide production solutions to most advanced seal features and geometries. In most cases, the milling operation might not be incredibly complex. But the fixturing required to hold small, delicate plastic seals is often the challenge. Many features like notches, detents, and countersunk holes can only be added once the part has been machined to it’s final outside dimensions. Small and thin walled plastic seals, in almost every case, cannot be clamped or held directly without damage or deforming the part. Simple collets or vises can’t be used unlike with typical steel or metal parts. Other hold-down means, such as vacuum tables are also not effective with small, light seals with little surface area to act on. Eclipse’s ingenuity and experience has provided solutions to the industries toughest seal milling and fixturing problems. Eclipse was contacted by a company needing a precision, lantern-style spacing ring to work in their hardware. Although it was just a simple ring, the part became considerably more complicated with the requirement of six sidewall notches on each side. Alignment of the notches on both sides was critical for fitment in the hardware. Eclipse developed a specialized mill fixture capable of machining notches in both sides of the part in one operation. This eliminated any risk of alignment issues from side to side as the part does not have to be removed and handled for each side. Run-rates were also significantly increased allowing Eclipse to meet the customer’s target pricing with minimal tooling cost. In rotary seals, ensuring the static surface of the seal remains stationary is critical for the correct functionality and life of the seal. The outside diameter of a rotary rod seal needs to remain fixed to make sure the dynamic surface interface is in the intended location on the seal, and therefore properly energized and wearing in the designed area. If rotation begins to occur on the static side of the seal, there’s the potential of the seal being damaged or for there to be leakage. If so, seal failure will follow shortly. 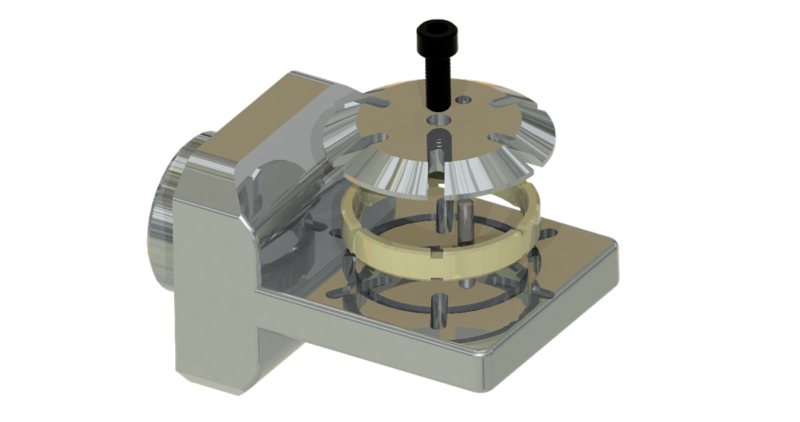 In many cases, a press-fit steel or aluminum case is used to ensure anti-rotation and OD sealing for rotary seals. Eclipse was approached by a customer using a large diameter seal in a high-pressure and very abrasive media application. Despite using Eclipse’s EZ032 maximum wear resistant material, frequent scheduled replacement of the seals was necessary. Use of a metal cased seal, while performing well, was costly and uneconomical when frequent replacement was needed. Eclipse worked with the customer to modify their hardware to incorporate anti-rotation pins that could engage the seal from the backside of the heel. With a mechanical means to prevent anti-rotation, the metal case could be eliminated from the seal providing a substantial cost savings and lead-time improvement. Eclipse needed to design and develop unique mill fixturing to drill the mating holes in the rear of the seal to accurately engage the anti-rotation pins in the hardware. The specialized mill fixturing firmly holds the seal in place without distorting the seals lips or marring the sensitive sealing contact surfaces. Placement of the mating holes is critical for installation assurance and to prevent distortion of the seal due to misalignment. With Eclipse’s precision machining, the anti-rotation pin design performed equally as well as the metal case design but with great improvement in manufacturability and therefore at a much more reasonable price point. 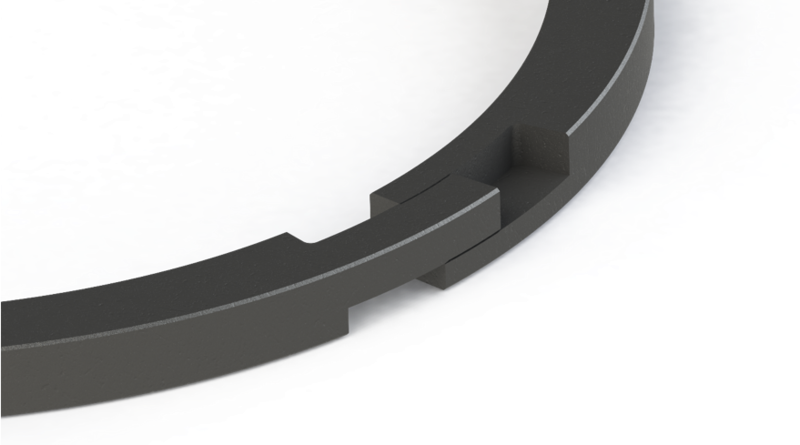 In some situations, a split seal ring is necessary for installation into a solid gland. Most PTFE based seal rings can simply be razor cut to split them. But a split seal is going to leak. 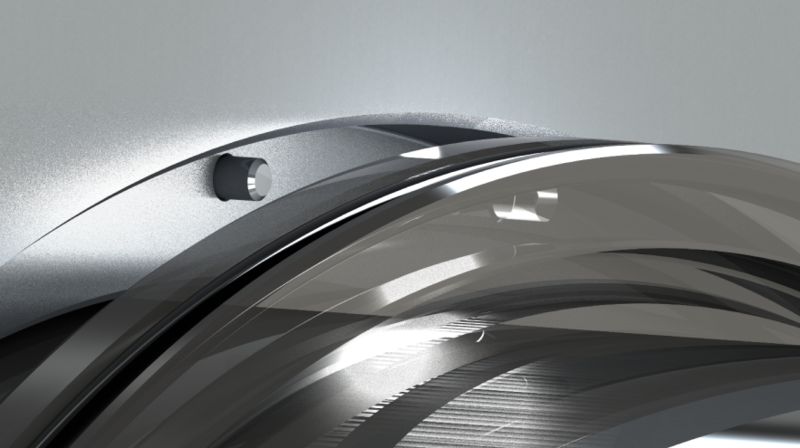 Putting the razor cut at an angle can provide some overlap of the split surfaces helping to reduce the leakage. A step-cut can further minimize leakage by providing even more overlapping area and creating somewhat of a labyrinth sealing effect. 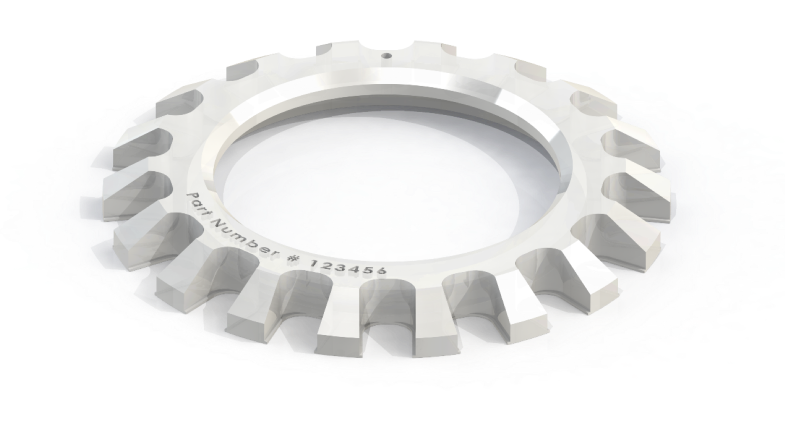 Eclipse was contacted by a customer looking to take this concept to the next level by specifying an advanced overlapping feature that could only be done as a secondary milling operation. The client’s goal was to increase the split intersection area and provide increased support of the weakened split region of the seal. Improved seal integrity and circularity helps extend life and leakage control. Eclipse created specialized fixturing and manufacturing techniques to perform the milling operation on an array of seal rings in one procedure. This allowed for production friendly run-rates for high volume orders even with the complexity of the step-cut feature. While most standard seals are complete once they’re finished being turned at the lathe, some seals will require secondary operations to be completed. A feature like a sidewall notch can look like a simple add-on to a standard seal ring. But this feature adds significant cost due to the secondary operation. Eclipse has custom-built specialty machinery to efficiently saw-cut small sidewall notches, but extra wide or radiused notches will require a milling operation. 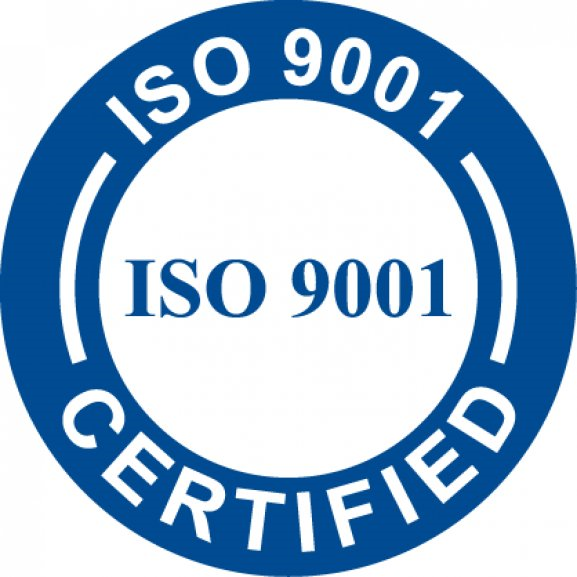 Eclipse’s decades of PTFE and plastics machining experience also provides advanced manufacturing solutions to a wide variety of products and industries other than just seals. Complex valve bodies, seal housings, intricate piston assemblies are all within the capability of both Eclipse’s lathe and milling centers. Eclipse’s ingenuity and on-site resources can deliver customized solutions tailored to every project. Whether it be fixturing optimized for high volume production, or designed for minimal cost investment on prototype parts.